Various IT training Institutes work closely with Interview Mocha. Training Institutes conduct short duration courses in various computer technologies courses. These are highly job oriented and help the students to learn a specific skill, say JAVA, C#,.NET, TESTING, DESIGN etc. The students could be graduates or masters in computer application. The prime motto of students joining these training classes is getting a job. 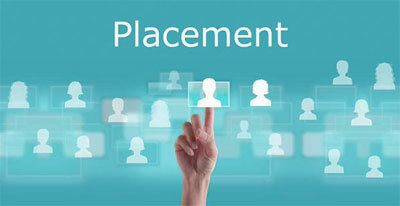 Placement drives are conducted by the Institute in their own premises. 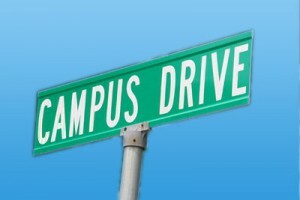 They use this drive to place their own students as well as candidates who are not their students. 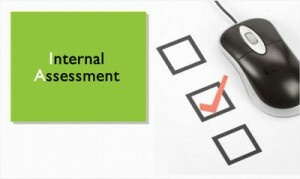 Recruiting companies are invited to the premises and the assessment is conducted using the Interview Mocha assessment software. Quality questions: Need not prepare questions as a quality question bank is available. Custom designed tests: Tests are available in the ready-to-use form or customized tests if required. No human invigilation: Do not have to supervise the examination as online proctoring and randomization of questions, no human invigilation is not required. No manual checking: Do not have to check the answers. Immediate report: Get a report on the spot which allows to shortlist or select the candidates. Campus drives are held by the training institute. These are held in a college campus and students from various colleges are invited for selection in the recruiting company. The assessment drive is conducted by the training company using the facilities provided by the college such as hardware, internet connection, rooms, supervision staff etc. Bulk online examination: A Large number of candidates can take the online exam simultaneously due to the rugged platform. Ready to use tests: Hundreds of ready to use tests are available. Custom tests: Customization of tests as per requirement. Quality question Bank: Good quality questions are available. Immediate and Decisive reports: Immediate reports or results for quick hiring decisions. After the course is completed students are assessed using Interview Mocha online testing in order to get the Certificates. The online tests are conducted for a large number of students simultaneously and questions appear randomly to avoid any possibility of cheating. The questions are drawn from Interview Mocha’s huge question Bank and are in the form of ready-to-use tests. If the institute desires they can add their own questions or request for a custom test. Thus, a unique test can be created specifically for each training institute based on their requirements in terms of difficulty level of questions, type of questions such as MCQ, descriptive etc. The test can include coding questions as well as theory questions. Tests include communication and aptitude if the institute desires. The reporting is immediate and comes with actionable insights. This can be shared in PDF or excel with other colleagues by the administrator. The cutoff is decided by the institute. The report displays the individual strengths and weaknesses of the student based on his or her performance in the various skills which are assessed. The students see only the institute’s name and logo while Interview Mocha remains in the background. Various IT training institutes have perceived the true value online assessment software with Interview Mocha and its support. If you have not yet discovered the offerings of Interview Mocha, we suggest you to Sign up and see it yourself.